This sign is one of my favorites. Measuring 45″ by 36″, this Glueks Beer sign is yellow, navy blue, light blue, and red. 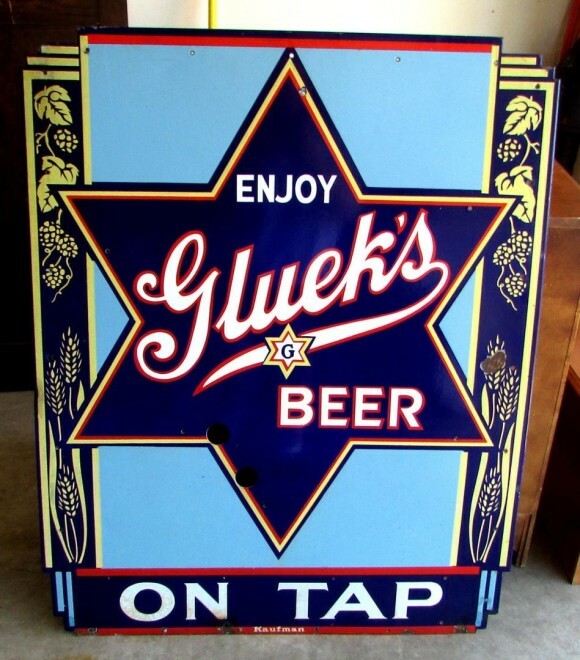 There is a six-sided star in the center with the text that reads “Enjoy Gluek’s Beer On Tap.” To the sides are plant patterns running up and down the sides.